Looking to go to the Grand Canyon sometime soon and want ideas of what to do there beyond staring into the abyss with inspired amazement? We look at several ideas for a great trip. If you mention the Grand Canyon to most people, no matter where they are in the world, it is likely that they have heard it, most will even know what it is too. 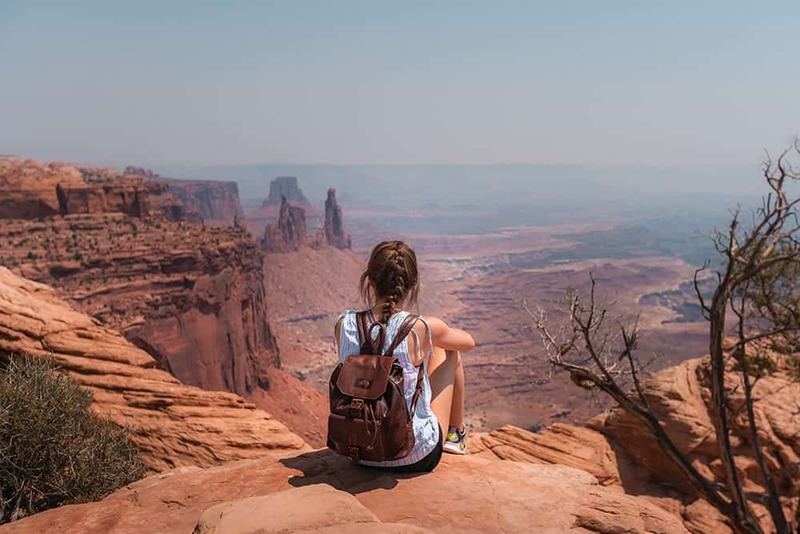 Compared to somewhere like the UK, it is often said of America that everything is bigger there and when it comes to natural landmarks, there are none much bigger or impressive in the states than the Canyon. It may not be the biggest canyon in the world (Sorry our American friends, there are at least five other canyons bigger than the Arizona’s biggest tourist attraction) but it is certainly one of, if not the most iconic. Besides standing at the various viewing stations and just standing there with your mouth open wide asking all the big questions in life, there is a surprising amount to do in and around this amazing wonder of the world. To give you some ideas of just what you can do, we’ve put together a list of some of the best activities. We know that often the words ‘visitor centre’ fills a lot of people with dread. Mainly thanks to other, lesser attractions that have visitor centres that amount to nothing more than glorified souvenir shops (see useless, tacky, tat or junk). However, at the Grand Canyon National Park, the South Rim Visitor Centre is so much more than that. There you will find various heritage and art exhibitions and a few helpful route planners, that are fully interactive. Unless you have already planned a route online, this is a great place to work out the route you should take. You should also stop to watch the informative short film all about the canyon. If you are looking for a scenic and leisured walk while at the canyon, you should consider the Trail of Time. This incorporates 3 miles of walkways with well-placed telescopes to view what you are learning about, information points and other exhibits. Think of it as being an interactive, outdoor museum all about the canyon and you are least scratching the surface. There are several points around the national park where you can access additional information such as history, geology and wildlife and other noteworthy things to look out for. This service is completely free of charge and just helps to open the experience more and make it feel more immersive. The Grand Canyon, as you may have guessed, is an excellent place to go hiking. There are a wide variety of different routes and trails, aimed to cater to walkers of all physical fitness and mountain hiking experience. No matter what level of experience you have and even if you are in peak physical condition, there still precautions and items you should ensure that you have. For starters, the weather is likely to be very warm and with all the walking involved, you need to stay hydrated. So, you will need a plentiful supply of water. You also need to invest in some strong sunscreen to protect your skin and high-energy food. 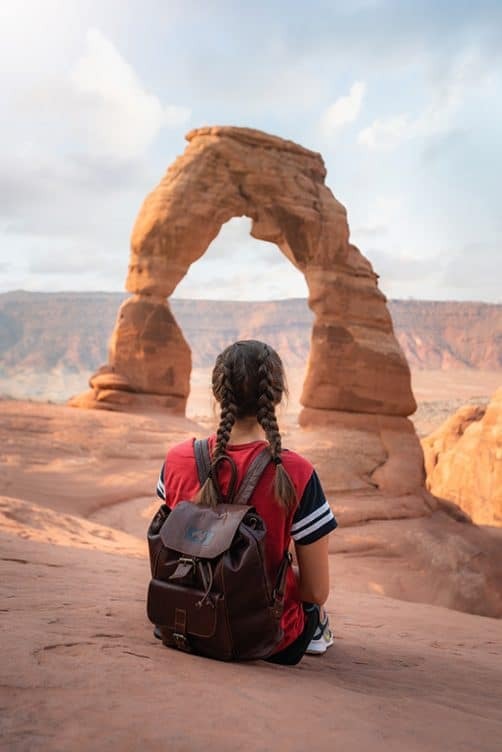 Whether you are intending on turning your hike into a few days’ worth of adventuring or are aiming to tackle one of the lighter single-day options, it is a good idea to invest in a good-quality and reliable bag, like the Wombat Leather Outback Luxury Soft Oiled Brown Leather Backpack. It is big enough to carry all your essentials for your hike, without being too bulky or weighty that it slows you down. We’ve all seen the pictures of people sitting at the edge or looking up at it from below in the valley. 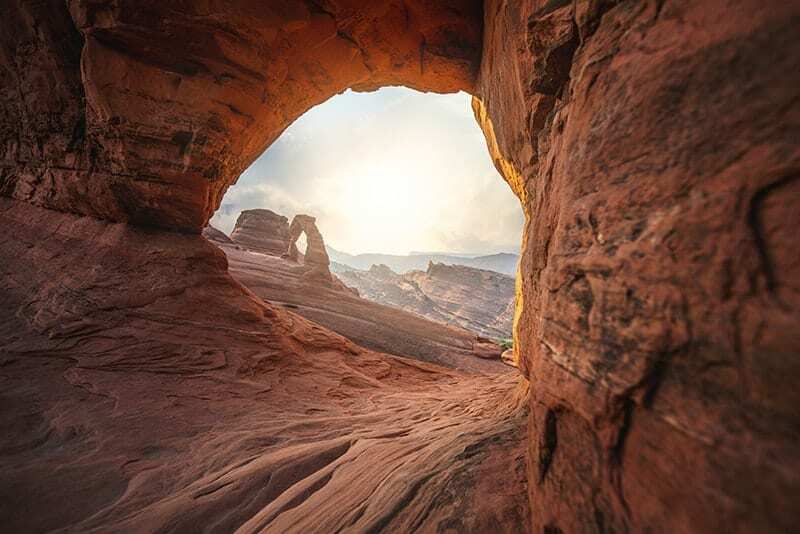 So, if you are looking for a more intriguing way to view this audacious landmark of stone and nature, you may enjoy taking a mule trek around the rim. A mule, for the uninitiated, is a half donkey/half horse species and is a beautiful beast of burden. Along with taking a trip on the back of one, if you spend some time at the ranch in the local village you will be able to learn more about the animal’s day to day life and what the ranchers must do to keep their prized possessions happy and content. 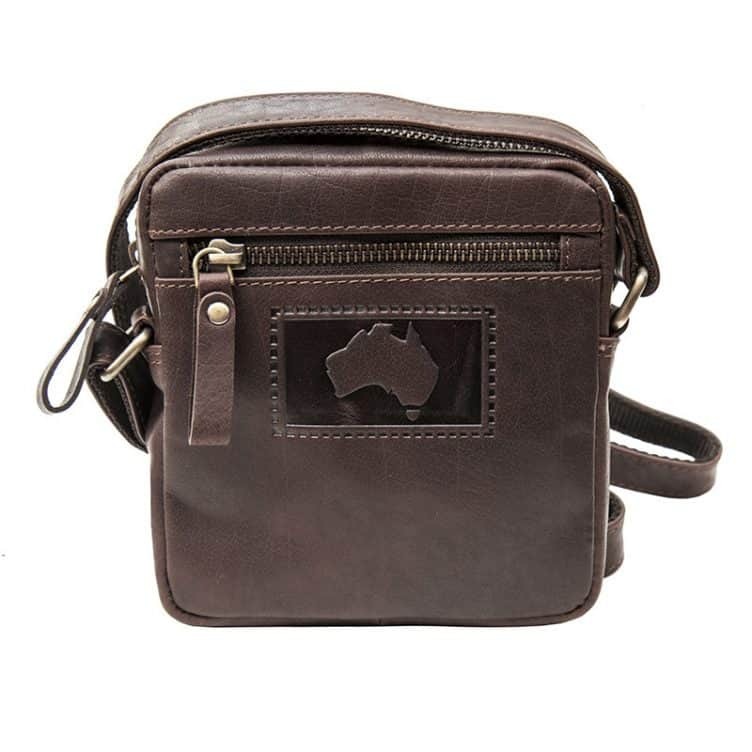 although you might not fancy taking something like the bag mentioned in the previous section, we would recommend that men and women taking mule rides, invest in Zip Top Small Travel Pouch and the Oiled Leather Shoulder Holster Wallet. That way you can take some light snacks and items like your smartphone or camera along for the ride, which can last as long as 2 hours with lots of stops along the way. It is worth noting that although you can take mule rides at both the South and North rims, you can only take rides in the North during summer. Always book ahead before you arrive, as they are very popular, and spaces go quickly. Or rather, hire a bike and take a ride around the canyon. the idea of a huge plunging drop to rocks and death below, might not sound inviting, but bike rides around the canyon are incredibly common and popular. There are plenty of options, so if you want to take the time to explore the area yourself, you can; or if you’d prefer a guided tour so you can learn as you cycle, this is also an option too. As with any of the options we have covered in this post, headwear is essential. For your bike ride, you can protect your head, face and eyes, and ensure the sun’s rays don’t blind you by investing in a Wombat the Wilds Foldable Leather Hat from Wombat Leather. 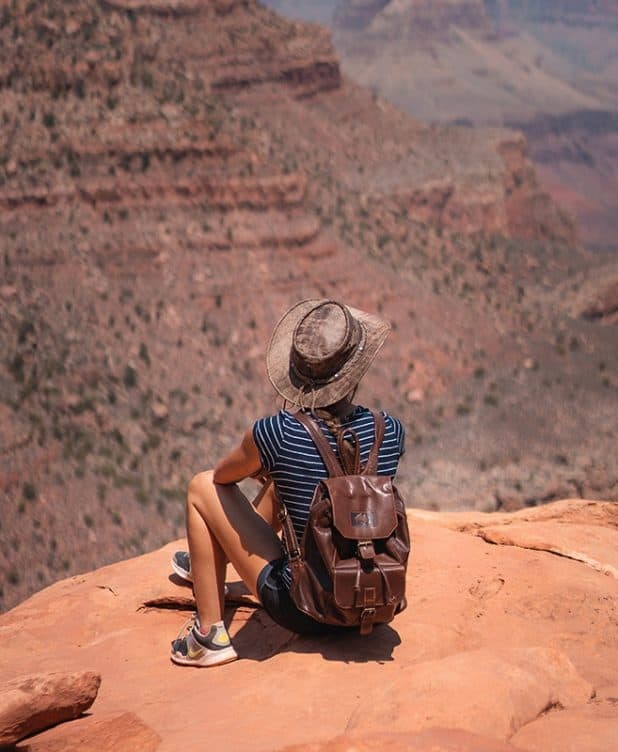 While there is a lot to be said for standing at the edge, or at least at a safe distance from the edge and staring into the nothingness, there may yet be a more amazing way to view the Grand Canyon. You can take a helicopter ride and view it from above. If you have the nerve and feel that a trip to the canyon should be an unforgettable experience, you can look forward to skimming ever so close to the Colorado River that runs through it or dangerously hovering close to the rock faces as you duck and dive down into the canyon. This view of this remarkable natural rock formation will be something you’ll never forget. There you have it, if you’re heading to the Grand Canyon soon and want the best experience possible, we hope we’ve introduced you to some great options. Whether you do one two or more of the above, a trip to the Grand Canyon will always be memorable.